Call Mack Hauling for all your junk removal needs. Serving Northern Virginia. 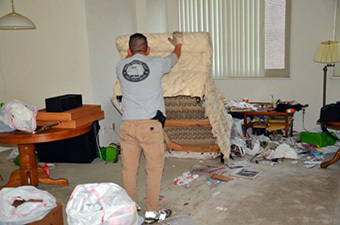 Schedule your pick up by calling us or complete our FREE ESTIMATE request.. We will get back to you promptly. Ready to serve residents and businesses in the Falls Church and West Falls Church areas including: Cherry Hill Park, Seven Corners Center, Oakwood, around the Eden Center and the Tower Square Shopping Center. Near Cherry Hill Park and Holmes Run Stream Valley Park. Around the Defense Health Headquarters and Merrifield as well as Annalee Heights, Mosby, Woodley North and Sleepy Hollow Park. Residents in the Kingsley Commons Townhouses and Monticello Falls Church Apartments as well as Mayfair House Apartments., Fairfield Crossing Apts., General Dynamics Properties, and the entire area zip code areas of 22040, 22046, 22044, 22042 and 22041. We travel regularly down roads including Interstate I66, Route 7, Broad Street, Maple Ave., Route 50, Route 29, Lee Jackson Memorial Highway, West Street, Fairwood Lane, Timber Lane, S. Washington St., Hillwood Ave., Arlington Blvd., Wilson Blvd., N. Roosevelt St., N. Fairfax St., Cherry St., Little Falls St., Shirley St., Park Ave., Lincoln Ave., Spring St., Lincoln Ave., Great Falls St., Shreve Rd., and Haycock Road, Annandale Rd., Graham Rd.